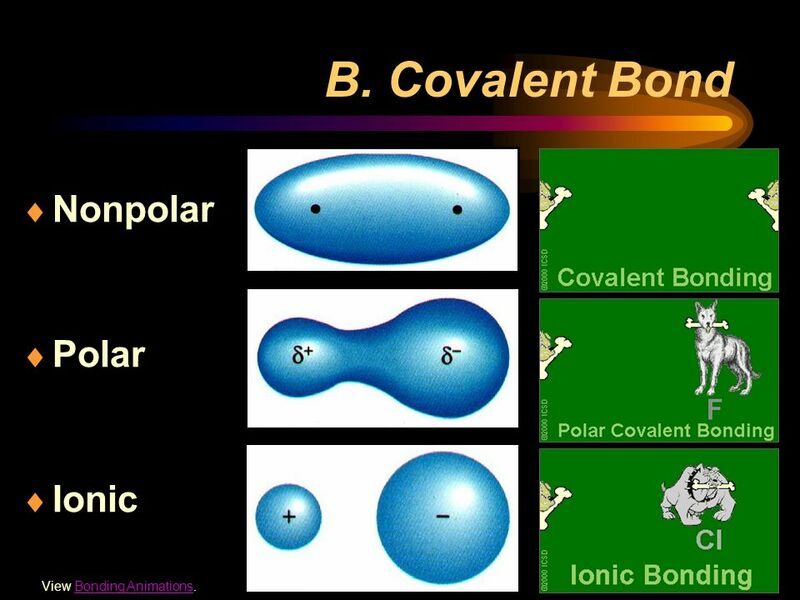 8 B. Covalent Bond Nonpolar Polar Ionic View Bonding Animations. Download ppt "II. 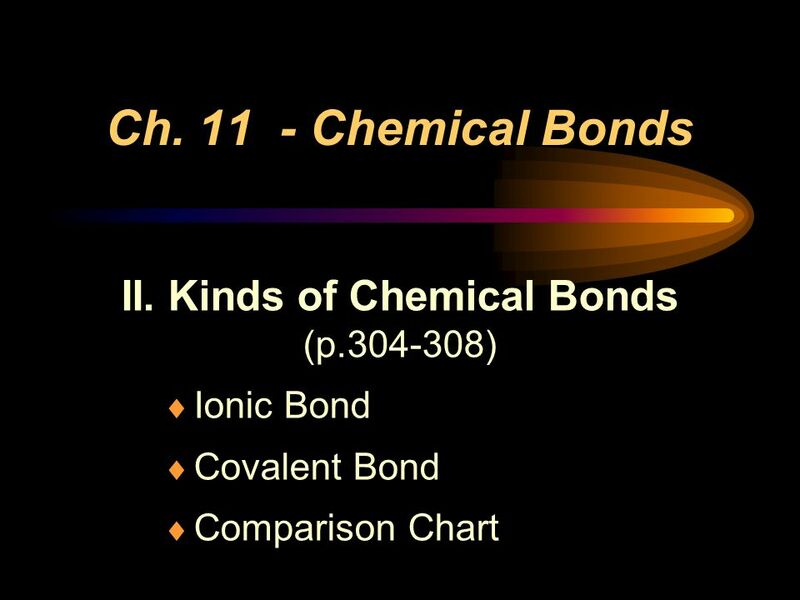 Kinds of Chemical Bonds (p )"
Types of Bonds Section 2. Gain or Loss of Electrons Ion formed Positive Ion = lost a negative electron Negative Ion = gained a negative electron Ion’s. The Structure of MatterSection 2 Section 2: Ionic and Covalent Bonding Preview Objectives Bellringer Why Do Chemical Bonds Form? 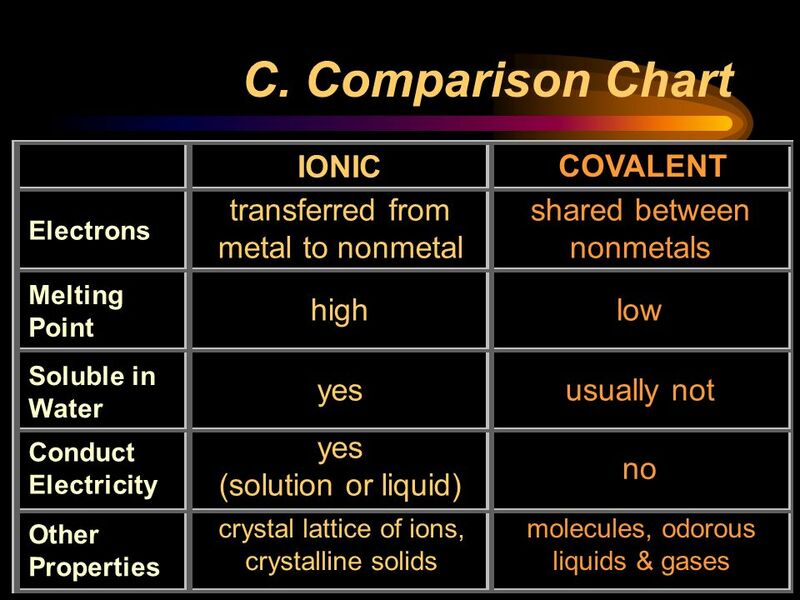 Comparing Ionic and Covalent. 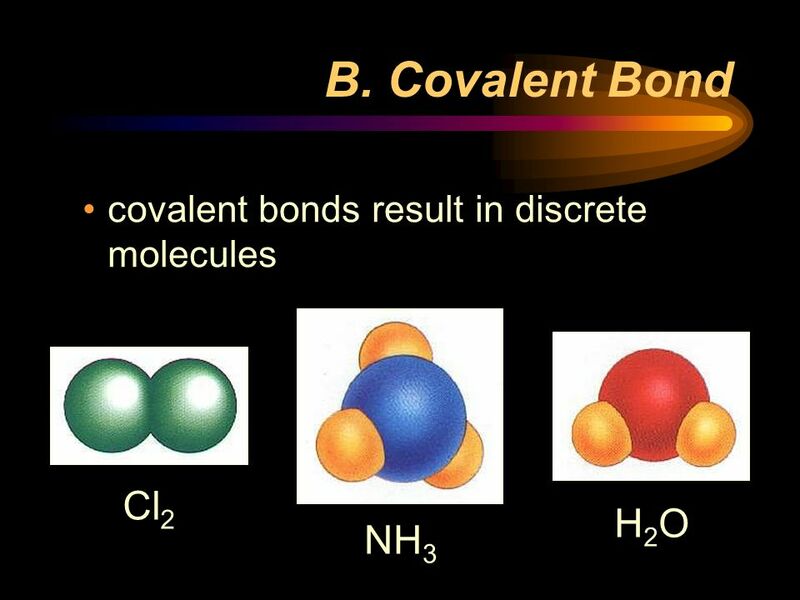 Chemical Bonds  Chemically combining of two or more atoms Covalent Bonds Ionic Bonds. Warm Up Give the formula that will result from reacting the following ions: 1.Na +, O 2- 2.Al 3+, Cl - 3.Mg 2+, N 3- 4.Al 3+, S 2- 5.Ca +, Br - 1.Na 2. 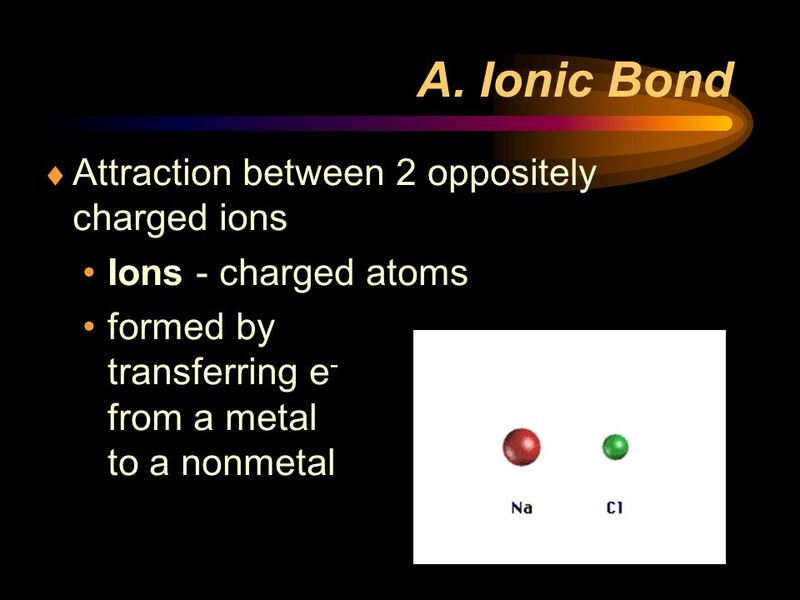 How to Bond -Atoms bond when their valence electrons interact -Atoms join to form bonds so that each atom has a stable electron configuration. -When this. Chapter 19 Chemical Bonds Lesson 2. Ions Ion – Charged Atom Cation - positive charged atom Anion negative charged atom Charge equals the A group number. 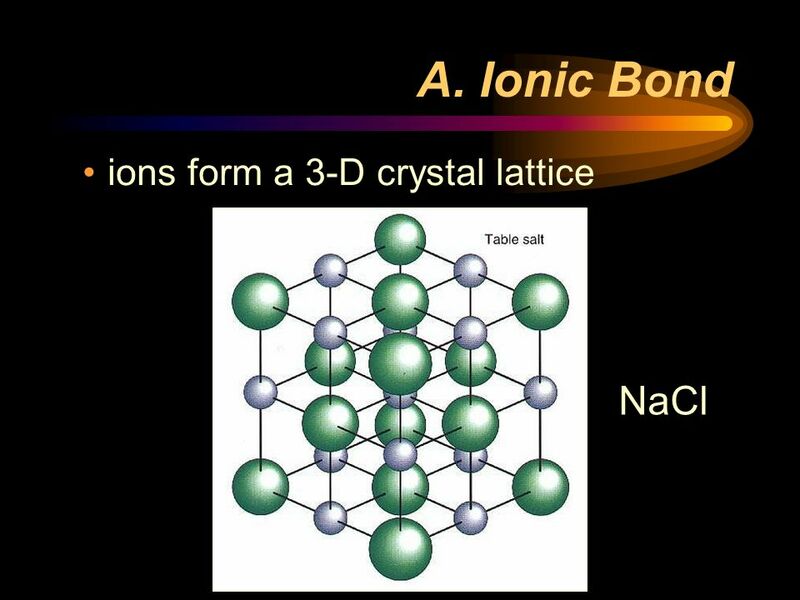 bond formed by the giving or Ionic Bond bond formed by the giving or taking of electrons. COVALENT BONDS Chapter 5 Section 3. 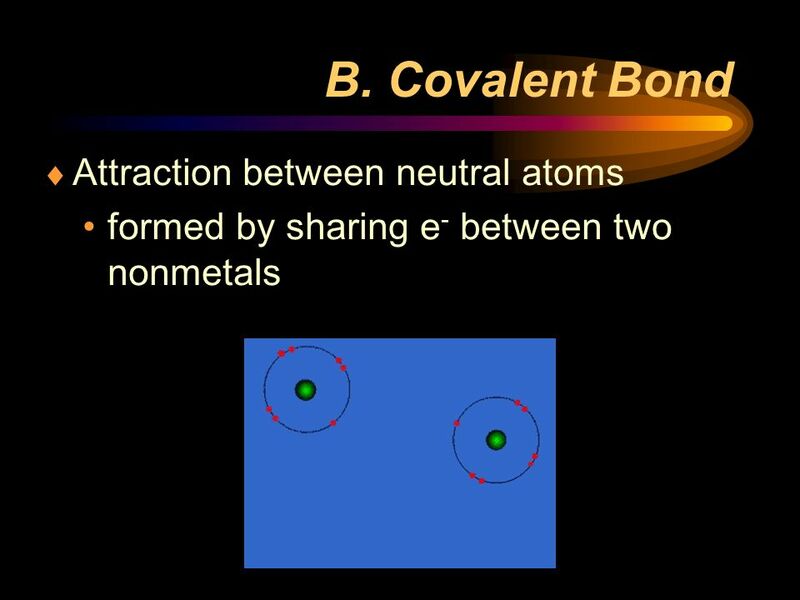 Chapter 6: Bonding… Chemical Bonding  Describe covalent, ionic and metallic bonds  Classify bond type by electronegative difference  Explain why atoms. 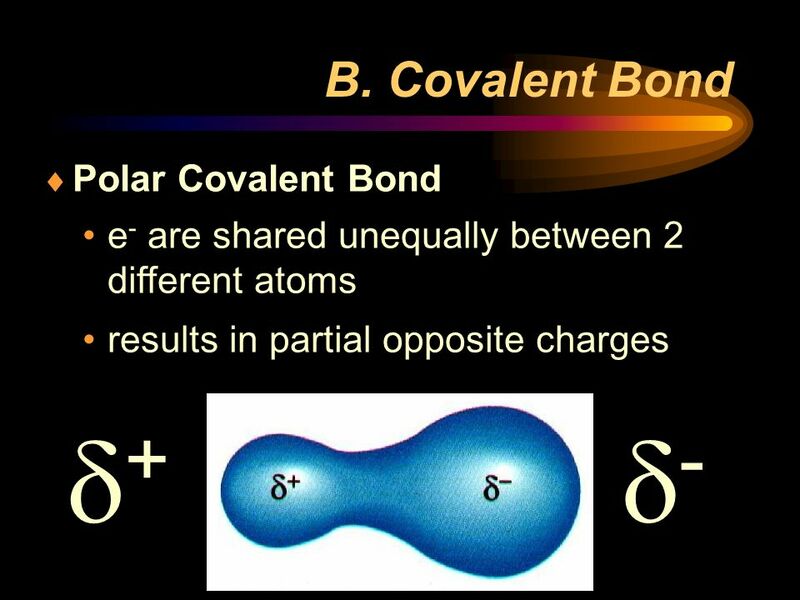 Covalent Bonds – The nice bonds that share! What is a Chemical Bond? A chemical bond is a force holding two or more atoms together to form a molecule. 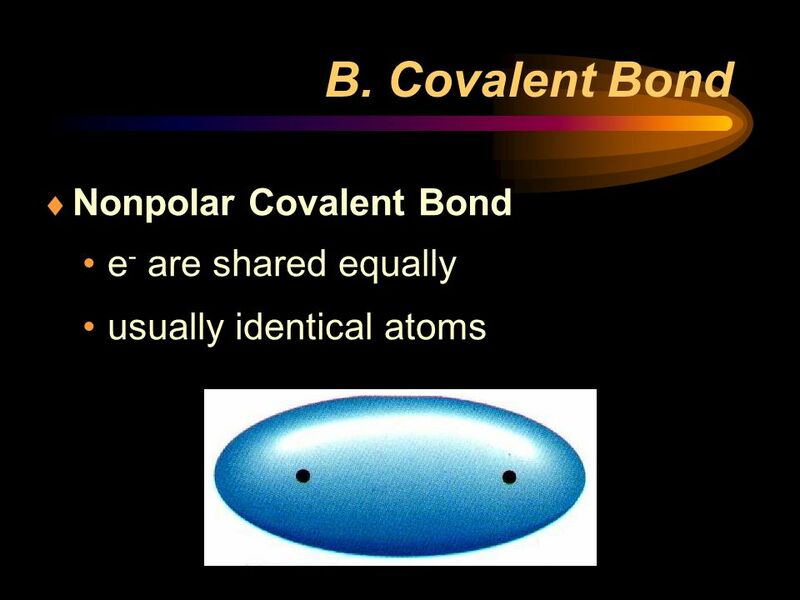 Covalent Bonds. Form when two or more non-metal atoms SHARE electrons. There is no transfer of electrons. Chemical Bonds I. Why Atoms Combine  Chemical Formulas  Chemical Bonds  Stability.